I “met” Wendy J. Fox in a circuitous fashion through a fellow writer and reader in Michigan—Tim Bazzett. Tim dropped me a line raving about Fox’s work when he and I connected over The Enlisted Men’s Club, the Vietnam-era novel by my late friend Gary Reilly. Tim wrote a beautiful review of The Enlisted Men’s Club, so I knew he had excellent taste. Tim asked if I knew the work of another Colorado writer, Nick Arvin, and I knew we shared similar interests in quality prose. He was right about Wendy J. Fox, too. 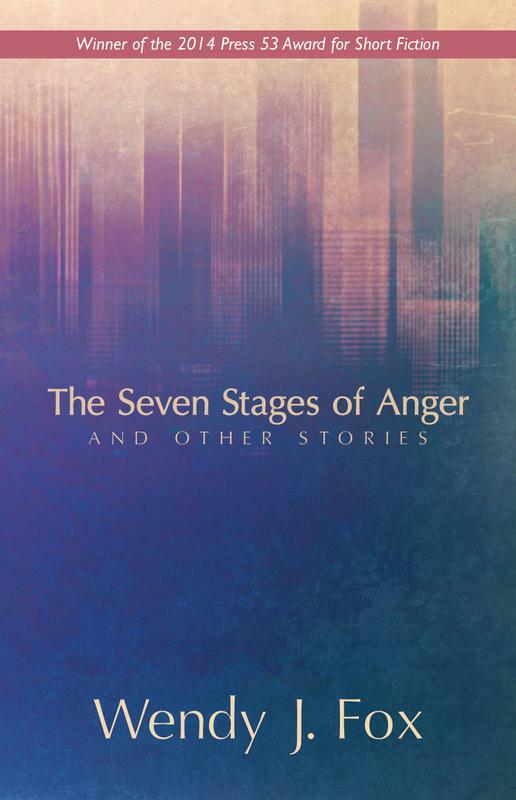 I have little doubt The Seven Stages of Anger will be among my favorite reads of 2015. A full review follows. First, Wendy J. Fox was kind enough to answer some nosy questions. Note the level of depth and analysis in the answers and you’ll get an idea of the kind of work that went into The Seven Stages of Anger. Point in fact: the title story, a brisk little six-pager, took four years for Wendy to finish. Question: My copy of The Seven Stages of Anger is now filled with notes highlighting interesting sentences and strong imagery, yet the forward progress in the stories never sags. Do you start with the general action of the story or the character? What’s the spark point for you to know you’ve got a story worth telling? Wendy J. Fox: Thank you so much for saying that the stories don’t sag—I think any writer who leans towards description or who is interested in the small interactions between people struggles with keeping some momentum in the plot. To your question, I don’t typically start with general action or a defined character; usually I am starting with a moment or an image, or just a thread of something. The action and the actual characters are built as way to try to contextualize. Frankly, this isn’t a super deliberate process, it’s just where I am at with my process. In many of the pieces in this collection, I was writing to discover the story, so that spark point didn’t come until I was at least a few draft pages in. Or, frequently, what I’d end up with was page after page of very repetitive description, and then I was trying to prune those words back to find the story underneath. Some writers talk about their lightbulb moments where a character speaks to them—and they know this person, and this person has a heart and a brain and a name—or they have a clear arc of a story. I don’t think that has ever happened to me. Maybe I know there are some people, maybe I know they are on a farm or in an apartment, but it takes me some time to figure out who they are, why they are there, and why they are talking or not talking to one another, why they are going somewhere or coming back, or whatever it is they are doing. This fall, I heard the poet Linda Bierds lecture on the idea of an “orphaned image” where she read through a series of her own poems as she refined a central image and grew the verse around it. While it’s not a totally apples-to-apples comparison with prose, this progression felt very familiar to me. Question: The stories, in general, tend to focus on people who are struggling on the edges and who live in rural settings. Can you tell us about your upbringing or what inspired this theme? For many of your characters there seems to be an underlying tension between acceptance of the overall situation and wanting something else, something more—but is there an underlying theme of the collection? Wendy J. Fox: I was raised in rural Washington state, which I don’t think is so different than other rural areas. I have a few friends from other small towns in North Dakota, Oregon, Idaho who have had similar experiences as me. There’s always this tension of knowing that if you do what you want with your life, you will leave most of your family, and most of your friends, behind. I’m not sure that people who grew up in cities understand this in the same way. Of course people who are raised in cities have something to give up as they go on in their lives, but I frankly don’t think they have to give up as much. Cities are so much more fluid and the world is already so much more of a broader place that there’s not such a hard line between stayers and goers. That’s not to say that city folks don’t have their own challenges. Obviously they do. For example, I started to understand class in a much different way when I moved to a city. Still, the disconnect in the stories between acceptance and wanting more comes precisely from where I was raised. It’s a spare and hard place, but also beautiful. The people and the landscape are so much a part of me, but I also understood at a relatively young age that loving the place and feeling connected to the people would not be enough, and that’s a pretty hard lesson, early on. Question: You are working on novel-length manuscripts, too. What’s the biggest pleasure and toughest challenge of each format? George Saunders said he can’t “break the code” of the novel format and be entertaining for 200 or more pages. What’s your approach? Wendy J. Fox: I’m not sure that I can break the code either. The pleasure is getting to work on a story line that goes on for longer, more pages, more time. There’s more breathing room. Still, as Saunders suggest, sustaining is hard. I keep finding myself breaking the chapters into stories as way to combat brain implosion (maybe it’s brain explosion? )—so maybe I will not ever be a novelist (which is okay). If I find a home for one of these novels, I might be better equipped to answer this. I’m doing it, but I don’t really know if I am doing it well, yet. Question: The structure of the title story is fascinating. Can you describe how you developed that approach and how you settled on those elements—topaz, tongue, lamb’s wool etcetera? Wendy J. Fox: Touching on the first question, the idea of fragmented images, people, places—that’s where “The Seven Stages of Anger” came from. When I started it, I was just beginning to try to work on a novel and I was seriously overwhelmed with working through a narrative, and trying to make the narrative even slightly linear, for what at the time seemed like so many pages. “Seven Stages” was a reaction; it was a piece I was writing when I needed to write but when I couldn’t deal with dialogue or thinking about plot. It took me nearly to four years to get it to a stopping point. I picked it up, always, when I was in in-between places, just a sentence, here or there. I never worked on it in a targeted way until I thought I was getting close to finishing. I certainly didn’t ever think it would be a title story, but it’s still very dear to me. Question: Favorite short story writers—go. 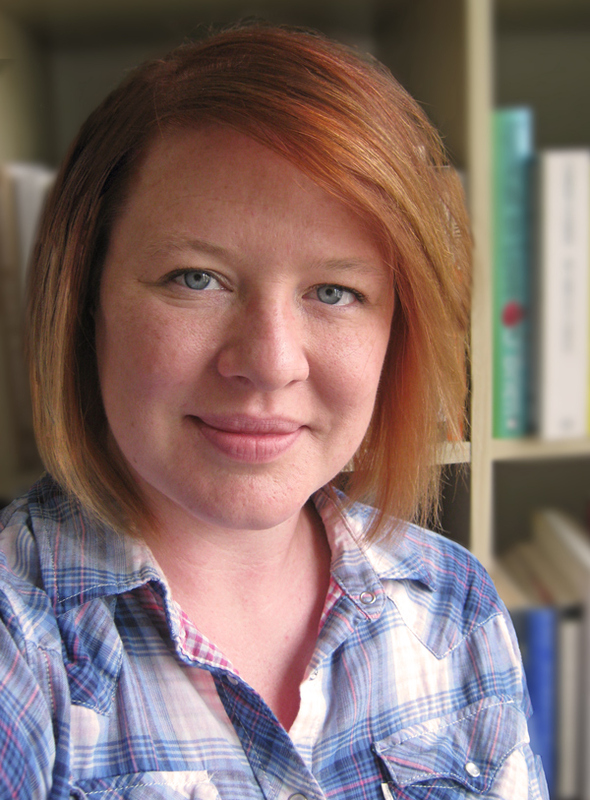 Dan Chaon – there’s an interesting literary space (and 10 real years) between the collections Among the Missing and Stay Awake. Marge Piercy – I was a fan of Piercy back in the days when I was in college and just discovering feminism. I saw her speak once and I was absolutely floored. When I read her recent collection, The Cost of Lunch, Etc. over the summer, I was floored again. Joan Silber – If I had to name my favorite, it’s Ideas of Heaven, but honestly, any of her story collections are so sharp. I like Ideas because the stories are longer, and I love Silber when she has room to spread out. For a long time, I was on a staple diet of Munro, Paley, Carver with sprinkles of Rebecca Brown or Kelly Link weaved in. It’s hard to name a favorite. I’ve been reading Midge Raymond, Bonnie ZoBell, and I’ve been reading journals. There are so many gems in the journals. Question: George Saunders also wrote: “We all try to skip around the heart of the story. It is a form of avoidance that all of us do. I don’t know quite why, but I see it all the time – in my work and in the work of my students. It’s very odd, and very universal. Maybe it’s scary to really confront the heart of the story, because some part of us knows that if we blow that, we’ve blown the whole deal. It’s like having a huge crush on someone and never telling them because you’re afraid you’ll be rejected. Something like that.” True? Wendy J. Fox: Right, I think this is in the Hemingway vein of “Write hard and clear about what hurts.” Hemingway is more prescriptive, but it is scary to confront the heart of the story. There is certainly a tendency, and I’m guilty of it too, to want to write around the center of the narrative. It’s like you want someone to understand without having to spell out every single word. For me, I think I care less about the rejection piece and more about the piece where I don’t want to have to be so obvious all the time. I think we forget how delicate and how nuanced the obvious can be. Question: What was the one piece of writing advice that helped you the most? Wendy J. Fox: I am really not good at “one.” This so much depends on where I have been at. Still, I really think the best piece of advice was the whole mode of the MFA program I went to, at Eastern Washington University. The program is now called The Inland Northwest Center for writers, but all these years later, it is still structured the same, with evening classes. It would be hard, but students can have day jobs and still attend the program. The glass thing is my mantra, and it has been for awhile, and it comes from getting my first real exposure to the writing life in an environment that married creating space for writing along with wage work. Wendy J. Fox: I’m looking for a home for two novels, and I’m starting new projects. I’m going on. I feel like that’s all I can do. “Apricots” concerns a fire and a group of buddies separated by natural events, by life, by growing up. It’s about hope, regeneration, loss and renewal. “Apricots” seems to ask where memory intersects melancholy. It suggests the search for recapturing childhood bonds will never cease, nor should it. In “Fauntleroy,” reconnecting surfaces again as a two childhood friends make a go as lovers and she knows it’s not going to work. This is another story where heat plays a critical role in moving events along and also were the freshness of childhood is contrasted with the order and staleness that adult sensibilities seem to require. The narrator can do nothing to stop the decay, can’t seem to find a way to fight through the distrust. This is a well-chiseled story about a search for home and also about objects (and people) splitting. I won’t go story-by-story, blow-by-blow. The Seven Stages of Anger focuses on regular folks finding their way, struggling to manage, sometimes trying to get a small leg up or gain a new vantage point on their worlds. In “Zinc,” Laura leaves husband Julian—but only for a week and a half. She’s fighting the “settling” phase of marriage and sees compromises everywhere. Julian “knew the kind of people who drank too much in an attempt self-medicate their ennui.” (What a great line.) Laura’s friends “had their jobs with students and the sheltered world of non-profits.” Many characters in these stories seem to be settling in, or battling the urge to do so. In “There and Back,” perhaps the most action-packed story, a motel maid named Constance keeps a wary eye on a “restless” roommate named David, who has been to jail. She soon finds herself entangled in his dangers and they take a risk, together, in a stolen car. Constance is also nostalgic for a girlhood and home (again, an underlying theme in many of these pieces) but Fox gives us glimpses of what that childhood was like and we are left to wonder about the power of nostalgia. Constance, like the narrator in “Apricots” and other stories, is concerned about sameness and the status quo. Traps, coops, cages, predicaments, being stuck—the theme persists. In “The House,” a young mother fights agoraphobia—or maybe she’s just relaxing into it. In “The Eggshells of Everything,” a teenager makes what is likely the first big decision of her life in a quest for a place to belong and feel connected. The environment plays a big role, too, but it’s as much grayness as blue skies—weeds, dying flowers, rocks and dirt. The overall feeling is hardscrabble and, in many cases, hand-to-mouth. Fox brings a dry, clean style to show us these scenes; her emphasis is on clarity. And what to make of the title story? It offers the only meta, abstract story in the slim volume. The seven stages are neon, lamb’s wool, peacock, topaz, carbon, tongue and chameleon and each ‘stage’ gets its own sub-story. Reading this is like looking through a kaleidoscope–shake–and look again. The story comes at the facts and moods from a variety of angles and lenses. In all, these eleven stories give life to overlooked, struggling women in hard corners of the world. Many have found their own means of self-medicating their ennui, of finding ways to endure. They all have their way of peering around the corner at what’s next and hoping, in most cases, for the best. Beautiful writing, memorable moments, a strong point of view, prose and story in perfect sync. What’s not to like? This entry was posted in Books and tagged Fiction, review, short stories. Bookmark the permalink.